Trying to decide between Ring and Nest as your new smart video doorbell? Data Doctors' Ken Colburn compares the two and offers some other options. Q: What should I know before deciding between Ring and Nest as my video doorbell? 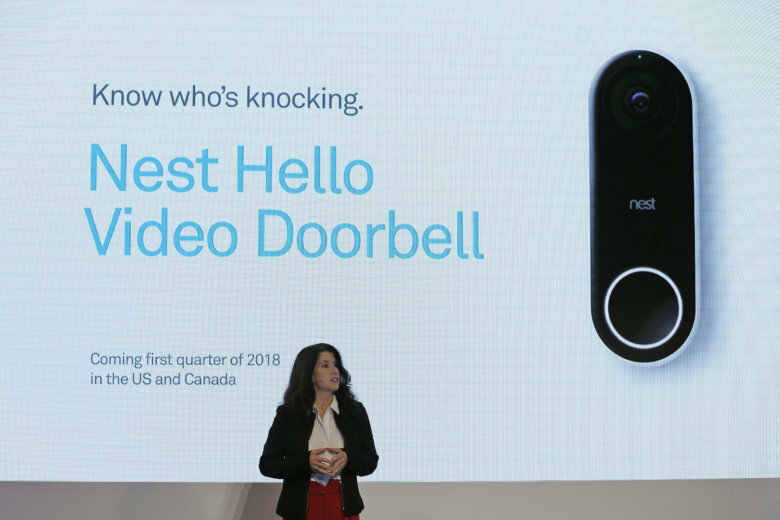 Installing a video doorbell is very easy and has many benefits, which often leads to the purchase of other “smart devices,” so doing a little homework on the options as well as the platforms they use is important. Both Nest and Ring were acquired by tech giants, Google and Amazon, so you should review what else is available for their respective platforms for future add-ons and integration options with things such as Google Home or Alexa. Before buying either, be sure to properly evaluate the location where it will be installed. All of these devices require a solid Wi-Fi signal in order to properly function, and if you don’t currently have a hard-wired doorbell, you’ll need to buy one with a built-in battery. Test the signal strength at the location using the Android Wi-Fi Analyzer app. Apple restricts access to its Wi-Fi chip, so the iPhone apps available aren’t as helpful, so borrow a friend’s Android smartphone if you don’t have one. You’ll want to start by testing the 2.4 GHz signal, which is slower but offers greater distance than the 5 GHz, and is adequate for most video resolutions. Open the “List” menu — tap the three vertical dots in the upper left corner of the app — and it will show you all of the Wi-Fi signals in range, by quality of signal. 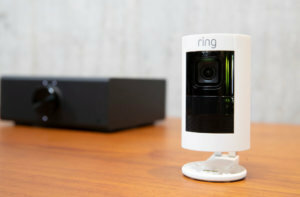 There are currently three consumer options from Ring: Video Doorbell ($99.99), Video Doorbell 2 ($199) and Video Doorbell Pro ($249). If you don’t have power to the location, stick to the Doorbell or Doorbell 2, which have batteries and only connect via 2.4 GHz. The primary differences are in the video resolution (720p vs. 1080p) and the Doorbell 2 has a detachable battery. The only offering from Nest called Hello ($229) must be hard-wired, so if your location isn’t pre-wired, you’ll either have to use one of the Ring devices or have wires run to your location. Hello works on both 2.4 and 5 GHz, the video quality is excellent and it offers optional features such as facial recognition, but it is more heat sensitive than Ring (104 degree max vs. 120 for Ring). There are also devices you might want to consider from August ($199) and SkyBell ($199), especially if you want free options for storing your videos.